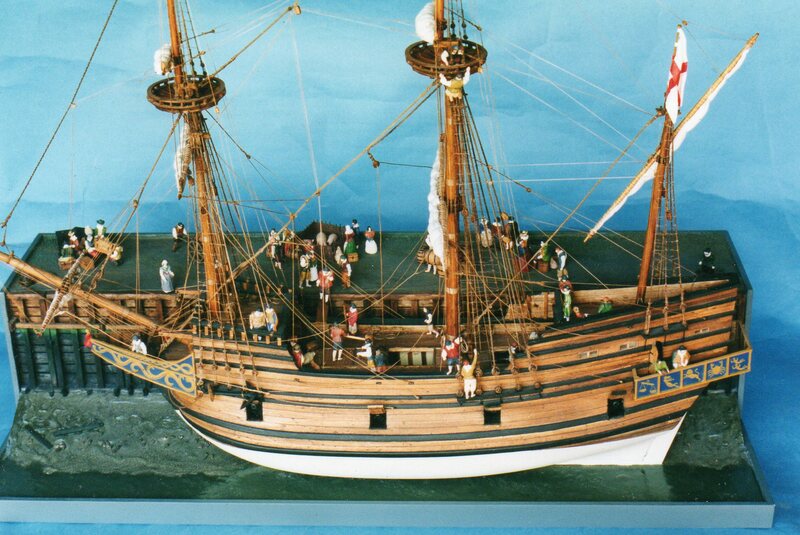 1:48 Scale model depicting the Susan Constant taking on stores prior and preparing for her voyage to Jamestown, Virgina. 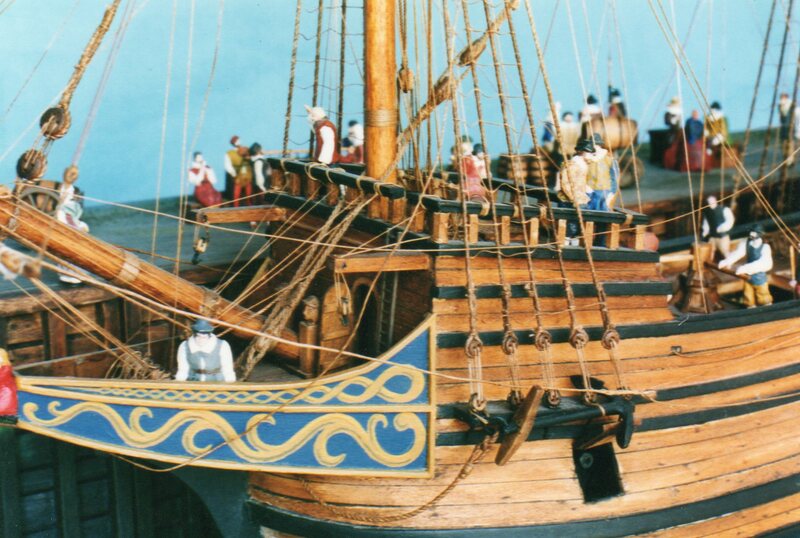 Museum in Dockland (Museum of London). 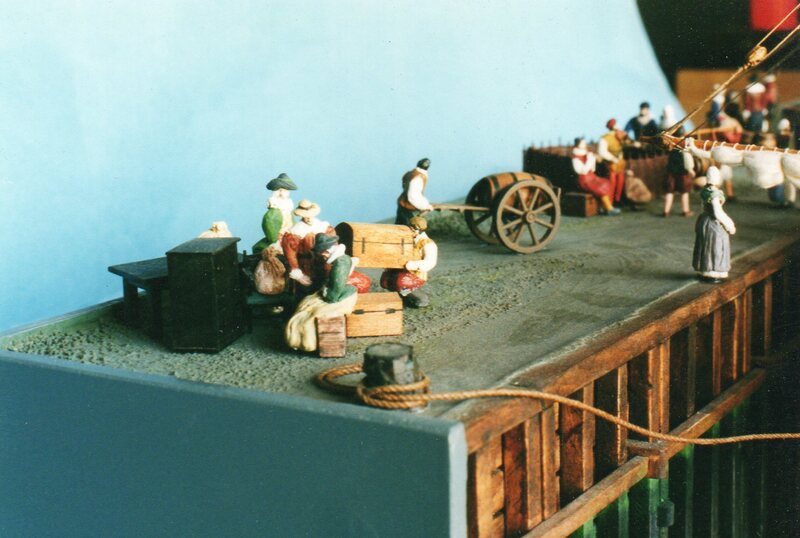 1:48 scale model of a Barking fishing smack with crew figures. 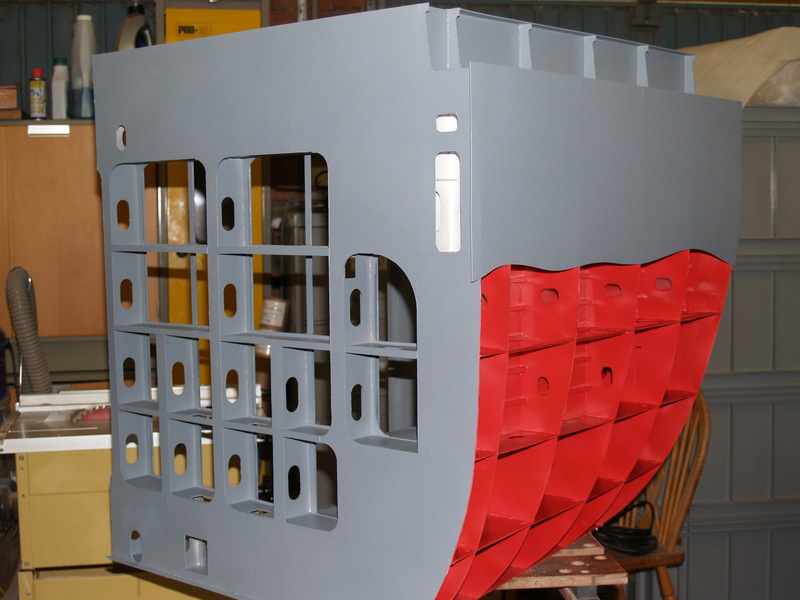 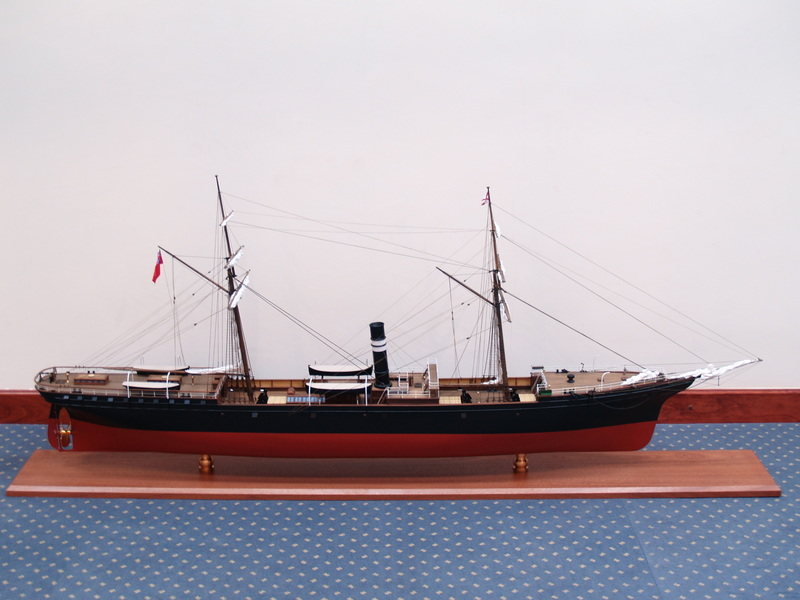 1:50 model to show the construction of a container ship for use as a visual aid during a legal hearing. 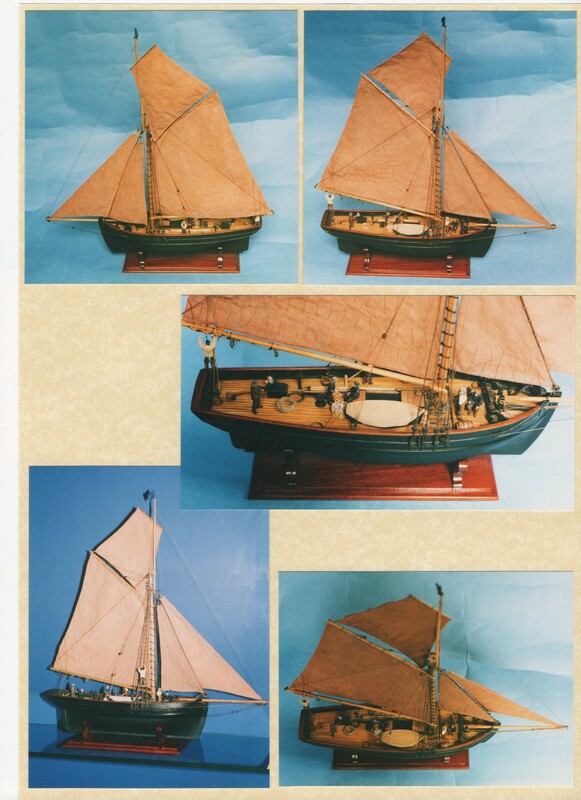 St Lucia Air and Seaports Authority. 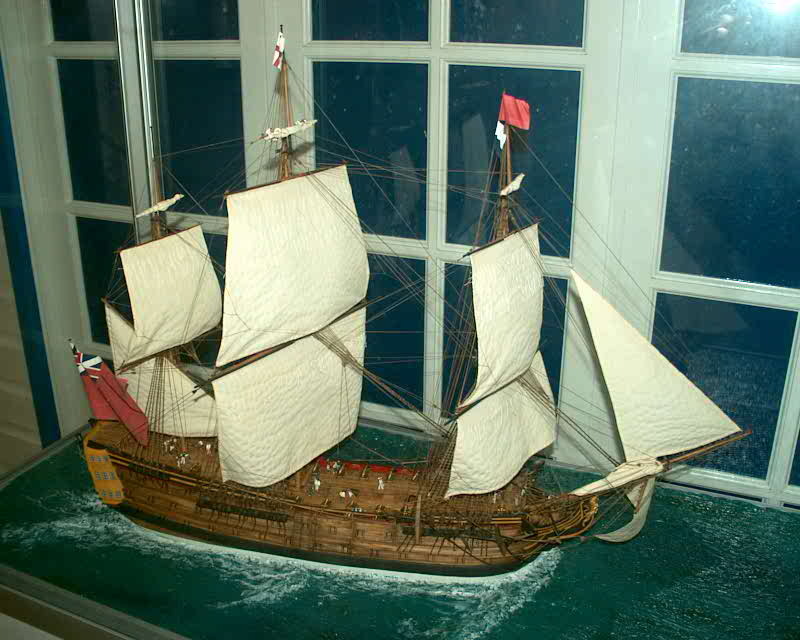 1:96 scale waterline model of a ship that played a key part in the history of St Lucia.